Dr. Piper Meadows heads to the Body, Mind & Spirit Expo expecting to solve health problems, not murder. But her first day starts off wrong when famous psychic Mystic Ming compares her hair to a "dung beetle's nest" and tries to get her kicked out of the show. But Piper's bad-hair day gets worse when her Aunt Alfa gets in a public scuffle with Mystic Ming, where he accuses her of trying to poison him with her peanut oil-based essential oils. When Mystic Ming drops dead from his serving of killer kung pao laced with peanut oil, it's no surprise that Aunt Alfa is fingered as the prime suspect. Unwilling to let her auntie squander her golden years in prison, Piper orders a set of How To Be a PI flashcards and sets out to find the real killer. Secrets and suspects sprout up faster than wheat grass, including a handsome tattoo artist, Tattoo Tex, who intrigues Piper more than she'd like to admit. But can she trust him? 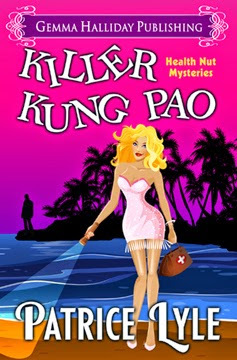 Piper had better solve the case of the killer kung pao before the murderer turns his sights on victim number two...one sleuthing doctor! Patrice Lyle loves green smoothies, dark chocolate, mysteries, and humor. She wove these elements together when she created the Health Nut Mysteries, a cozy series about a naturopathic doctor who solves mysteries at health expos. 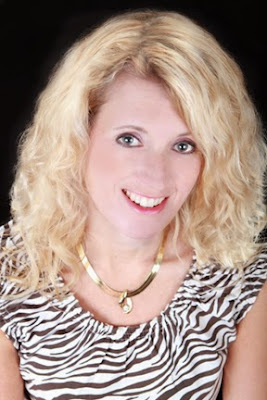 Patrice also writes paranormal young adult and middle grade fiction, as well as holistic medical suspense. She has an MA in Writing Popular Fiction and a PhD in Holistic Nutrition. She's also a Certified Traditional Naturopath. She now lives in Florida with her husband and two kitties, and is a firm believer in the theory that laughter is the best medicine.